It’s the to-do list that never gets done! Every household and business has one – there’s that dripping tap, the shelves that fall down and the lock that keeps sticking. What we all need is a friendly, versatile and reliable person to get the work done. Someone who arrives on schedule, does a great job, every time, at the right price. Hire A Hubby is probably the UK’s fastest growing DIY and property maintenance franchise business. 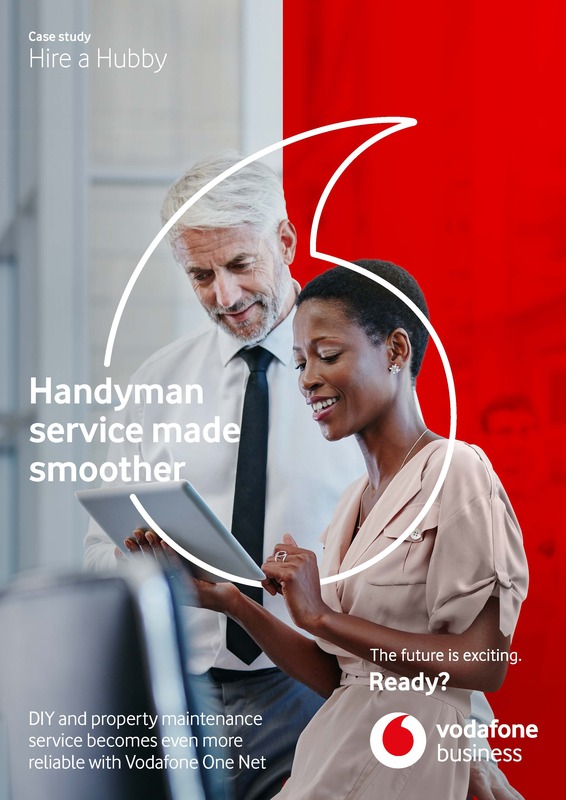 Launched in Australia, the business is now an international operation, with ‘Hubbies’ worldwide delivering a huge range of domestic and commercial maintenance and repair services. Their work is backed by quality, insurance and safety documentation, providing customers with security and peace of mind. Hubbies are individual businesspeople who take pride in their work and aim to win long-term customers who will recommend them to colleagues, friends and family. There are no expensive call out fees or hourly rates, and every job has an estimate confirmed in writing. “Property repairs and maintenance is a hugely competitive sector,” says UK Director, Gerry Fundell, who co-ordinates the work of eight Hubbies from UK headquarters near Harlow in Hertfordshire. “The quality of work is always important, but speed of response is absolutely vital. Often potential customers will call several suppliers - and the one that arrives first usually gets the business. “Once you demonstrate to a customer that they’re important to you, the result is loyalty. Hire A Hubby had no hesitation in selecting Vodafone One Net Business to deliver the speed of response and flexibility so crucial to its business success. The distinctive Hire A Hubby brand and service is steadily expanding throughout England and Wales, with interest from potential new franchisees growing month-by month. they are automatically redirected to Gerry’s mobile. When office staff go home for the evening, calls are again forwarded to Gerry at his home or on his travels throughout the UK. It’s business as usual with Vodafone One Net Business. “Equally every call is a potential sale. It’s very reassuring to know that, thanks to Vodafone, we are not missing any chances to win new customers. We can log all incoming calls and feed new opportunities to our franchisees by text, email and calls, helping them build their own regional businesses – and ours at the same time. “Our plan is very simple, to expand and grow Hire A Hubby by helping our franchisees to grow their own businesses and by increasing our network of franchisees,” says Gerry. “Having Vodafone One Net Business is the ideal platform for us to achieve this and we can demonstrate that the model works to potential franchisees. “And our franchisees can join the Hire a Hubby network and enjoy the benefits, even if they are currently tied to another provider.” “I’m aware that we are not currently making full use of all of the services and possibilities that One Net Business offers, we’re just using what we need right now. But it’s reassuring to know that, as we grow, and our needs expand, Vodafone will be able to assist us with additional products and services as and when we need them.